Its been a while since I've last used a primer. A good friend (Hi Alyssa!) recommended me to try QUICKFX No-Shine Mattifier as my makeup primer. I was supposed to buy this before I went to Japan but the Watsons branches I visited were out of stock! I was wondering, how good could this be? One thing to find out, to try it out myself! And so I searched high and low and I was lucky to stumble QUICKFX in Watsons Farmers Cubao. Kyaa, finally. Absorbs oil to control shine for a smooth, matte finish, conceals fine lines and pores for visibly radiant skin instantly. A light moisturizer that helps hide imperfections such as fine lines and pores while proividing an exception smooth matte finish. 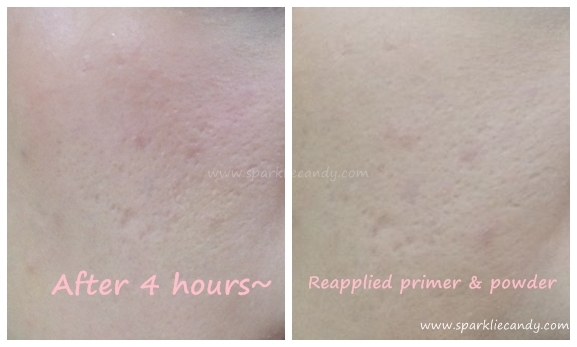 Also helps prevene and treat pimples without drying out skin. Looking further into the ingredients is contains paraben. 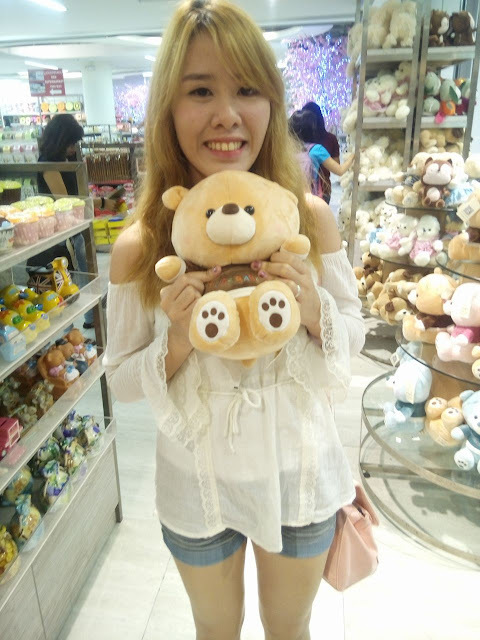 Its said to be made in Korea. Just by looking the package is pretty simple and straightforward sachet with a handy resealable cap. 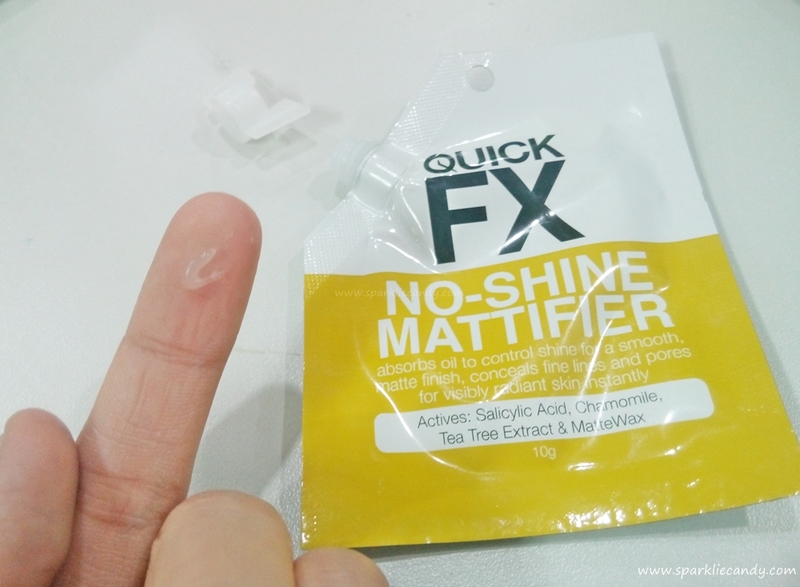 The packaging slightly changed actually because before Quickfx doesn't have a cap, its just plain foil which you have to tear. Its quite messy and unhygienic IMO, glad they came up with this new packaging. I have tried QUICKFX eyelift cream and Pimple eraser before as well and I know their products are pretty good however its my first time to try QUICKFX No-Shine Mattifier which is said to be a moisturizer. Hmm... so technically its a moisturizer, pimple cream and primer in one. That is 3 good effects with just one product. Too good to be true? Let's see. The dispenses just the right amount of product each and every time. The cream is velvety, not sticky and spreads easily on the skin. 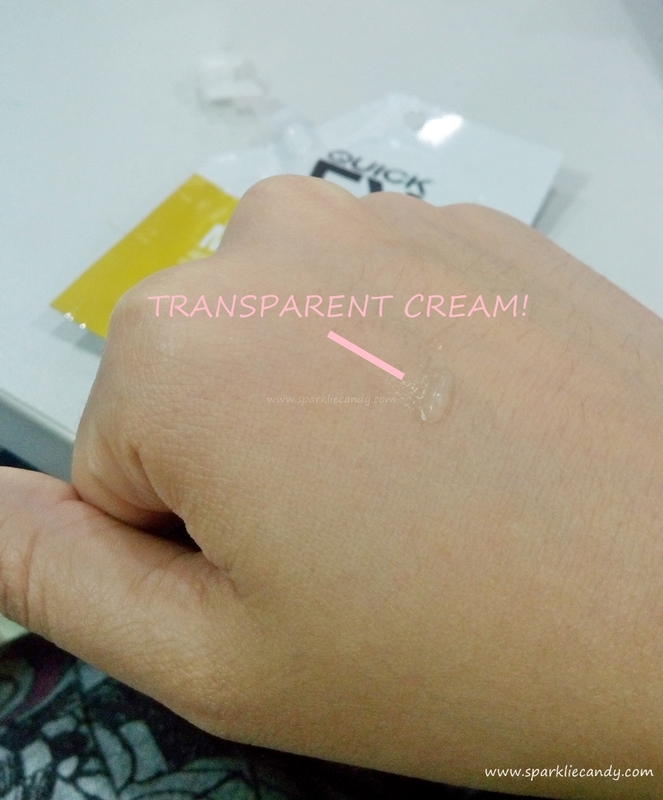 Its a colorless cream with no scent.I only need a little amount to cover up my whole face. It covers big pores well but not to the point that it wont be visible at all. It just makes it look smaller because the cream fills up the pores. Got it? Hope I am making sense here. Hehe. I still do my skincare routine before primer and before doing my makeup. 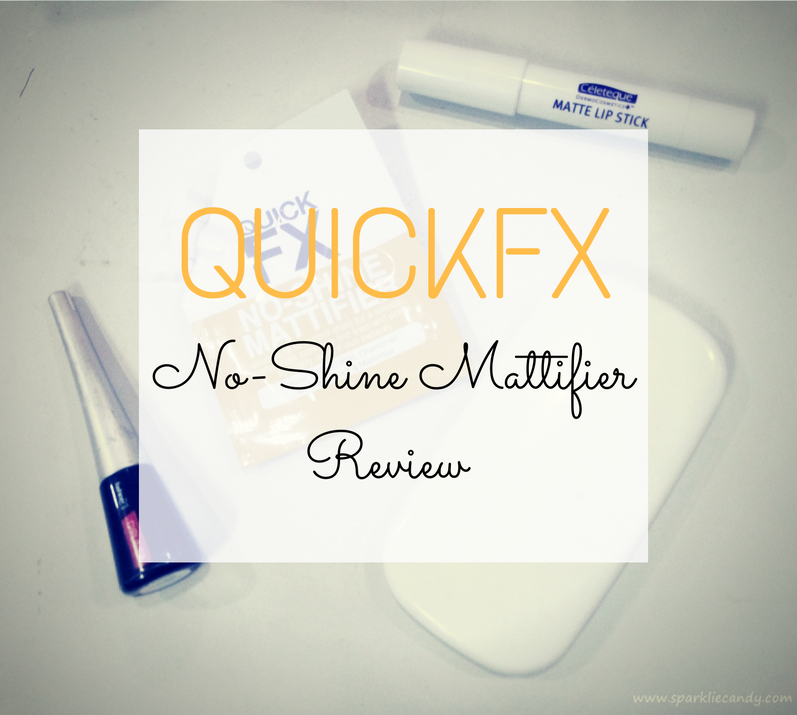 However QUICKFX says its also okay to use the No-Shine Mattifier on top of the makeup,which I also tried. Using it on top of my makeup makes my pores less visible than the first application. It doesn't highlight dry patches, but I am not sure if it does moisturizes my skin though because I still use moisturizer underneath. I've worn the primer all day with my usual makeup look. With my heavy bb cream in place which almost always oils up in the mid day I ended up with a not so oily face in the evening! I only perspired and all, but my makeup is still there and there is no oil galore end of the day look. I am impressed. P99 for 10g sachet product. I found it at Watsons Farmers, but should also be available in the other branches if its not out of stock. So far so good. It works as a primer, blurs pores and it doesn't break me out. For the price, I can't complain. I recommend this to girls oily and dry alike who are sensitive with pore clogging primers. 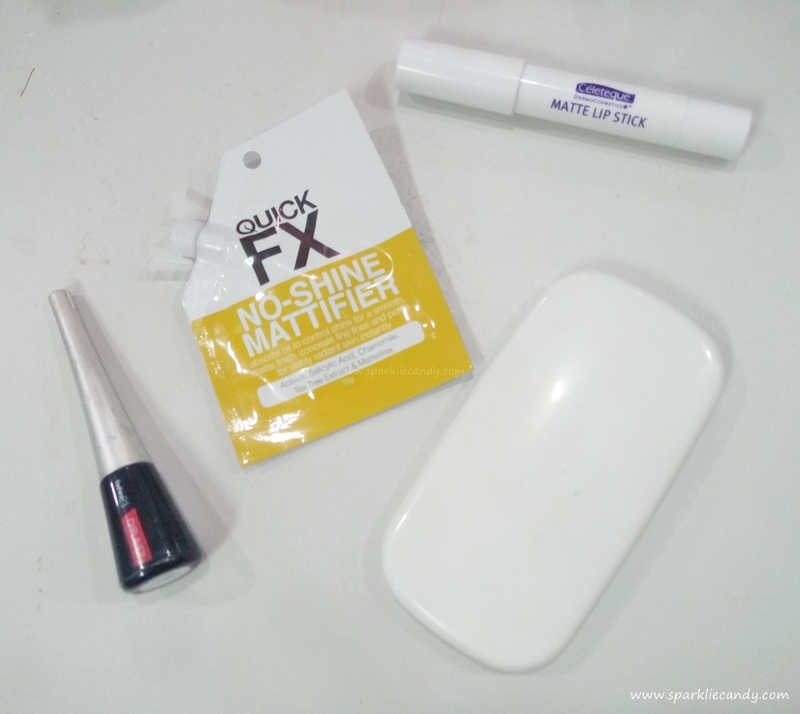 This is also perfect under bb cream, kudos to Quickfx for this cheap but effective product.